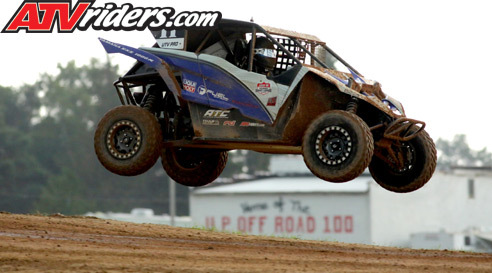 Monroe, NC (8/15/2018) - Father-and-son driving team Chris and Payton Mills enjoyed the high speeds at Bark River International Raceway as they put in competitive runs in their Mills3 Yamaha YXZ 1000R UTVs. Bad luck, however, didn’t bode well for the team. The doubleheader race was held on Bark River’s fast and technical track. The facility in Michigan’s Upper Peninsula is a favorite of both the Mills and Chris Mills set the pace early as he put in his best career qualifying effort for the Pro Stock race. Along with loamy soil, as racing progressed through the weekend, rocks began appearing on the track surface, causing tire and wheel problems for many competitors. The Mills are running Fuel Wheels and Tires and they had no issues all weekend. Payton Mills started 16th in Saturday’s Pro Modified race. He was making his way through the field when an engine issue ended his weekend early. The Mills family was humbled when they were presented with the newest edition of ATV & SXS Insider. 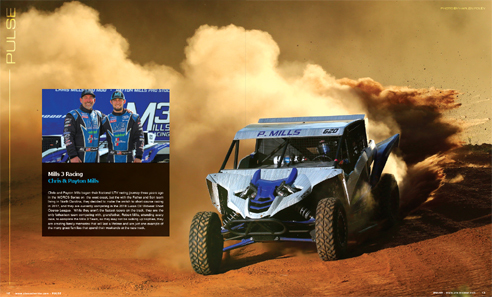 The leading powersports publication ran a two-page feature detailing the Mills family and the hard work they are putting into their racing program. Chris Mills was equally emotional. The Mills3 moniker comes from the three generations of the Mills family involved in the program. For the Mills, family and racing go together. 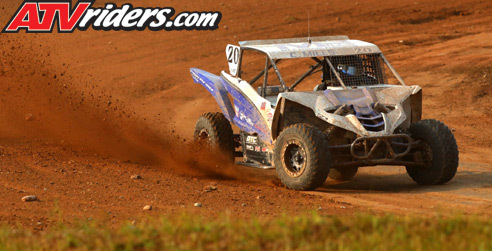 Speaking of family, the entire Mills clan is scheduled to be at the season finale at Crandon International Raceway. The race has always been special to the Mills family. Unfortunately, team mechanic Dan Duray won’t be able to attend the race. The Mills3 team is already preparing for a strong finish to the 2018 Lucas Oil Midwest Short Course League season. The season finale is scheduled for August 31-September 1 in Crandon, WI.